Hello Revolutionaries! Welcome back for another helping of the swashbuckling power outage show! I still maintain that the show keeps improving each week. This week was no different. And somehow, they found a worse actress than Charlie to make her look better in this episode! (not that they had any face to face time) We'll get to that in a bit. But some interesting mythological developments occurred here. We'll get into it below. 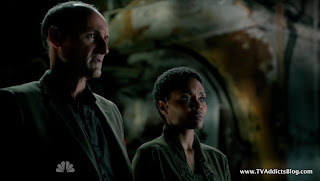 But, in case you tire of my constant Star Wars reference, I wanted to share an article about what inspired Eric Kripke and JJ Abrams to make this show. Star Wars and Lord of the Rings were definitely huge draws for them, mainly Kripke. Okay, now that that's out of the way, let's recap! We focused on Norah in this episode and her relationship with her sister Mia. 2 Months after the blackout we found them under a bed hiding from a militia man (well, we just assume). The next day Norah finds out that their mother is dead in the bedroom and lies to Mia about it. They head to Galveston, Texas from San Antonio to try and find their dad. Dad wasn't at the house and they just wait there for him. Norah ended up telling Mia that their mother was dead, but as we find out Mia sort of holds a grudge on that lie. In the end, we see the sisters agreeing to protect each other from the threats that will come their way. Of course, we find out that things don't quite work out that way. Miles and crew are in Freeport, Pennsylvania, 290 miles outside of Philadelphia. (I google Mapped it, it's actually 309 miles to Independence Hall, but we'll give them credit for being close!) 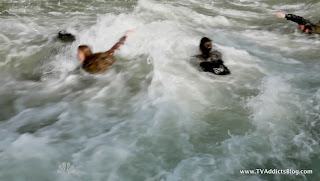 Without going really out of their way, this seems to be the only way to cross the river and keep on trekking. And of course, the Militia is there in full force. Miles mentioned Morgantown being the closest bridge, but I don't know what Morgantown he was referring to. Morgantown, PA is way West and West Virginia is way South with lots of ways to cross before then (unless the militia destroyed all of those outlets). Best not to analyze their logic too much here! Anyway, Strausser is waiting for our heroes. We even get a classic nod to Admiral Ackbar in Return of the Jedi, because it certainly was a TRAP! Long story short, our heroes hid, Strausser had Mia and threatened to kill her unless they gave up the pendant and Miles. Norah went all Macgyver and blew stuff up freeing her sister. They played some catch up, she lied and said she found their Dad. Charlie eavesdropped for what seemed like 10 hours and eventually told Norah to go with her sister. Norah and Miles share a kissy moment even though it's still unclear what Miles did to Norah in the past. We find out that Mia was playing them all and had stolen the pendant from Aaron when they were struggling through some wreckage. Miles, Charlie and Aaron end up getting cornered by Strausser whose accompanying militia had a very fancy automatic weapon. No fear, Norah came back and stole that awesome gun and took out a few militia. Miles was just about to give himself up but ended up in a little fight with Strausser. Miles made no secret that Strausser is the only man that freaks him out, so he ended up running from the fight. They make an escape by jumping into some rapids. Of course they'd survive that, right!? Well, at least they didn't have to worry about getting their cell phone wet. So bottom line, our heroes lost the pendant, and Norah lost a sister. I'm sure we'll run into Mia again some day, that crazy bounty hunter for the militia. Monroe keeps getting more evil by the day. And we find out that he does not tolerate treason. Jason was getting punished for his shenanigans at the stable last week. Tom Neville made no secret that he quite fancies the Charlie girl, and it must be for more than her personality. (Okay, he didn't say that last part, but come on!) 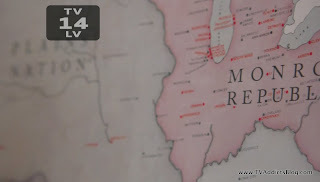 Monroe had made up his mind that he was sending Jason on some militia expedition to the California Commonwealth, which is basically a death sentence. Monroe said it was either that or execution for treason here. No fear though, Neville's wife was holding a wildcard in her pocket! It turns out that the maid not only went to the same school for acting that Charlie went to, but she had some crazy gossip! One of Monroe's right hand men has a son who is a rebel!! Well, Neville of course was going to rat him out! Monroe did not waste any time to disband of that rebel squad including the Colonel's son. And the Colonel was getting beaten to a bloody pulpit. Monroe pretty much implied he was going to kill the Colonel because he couldn't trust him. And of course, Jason ended up getting a reduced sentence to a warning. But a very stern warning. i.e. Don't let it happen again or else!! Look, I can make a Charlie face worse than she can! At the end of the episode, Strausser returns with the pendant and Monroe is thoroughly pleased! Monroe brings the pendant to Rachel so that she can tell him all about it. 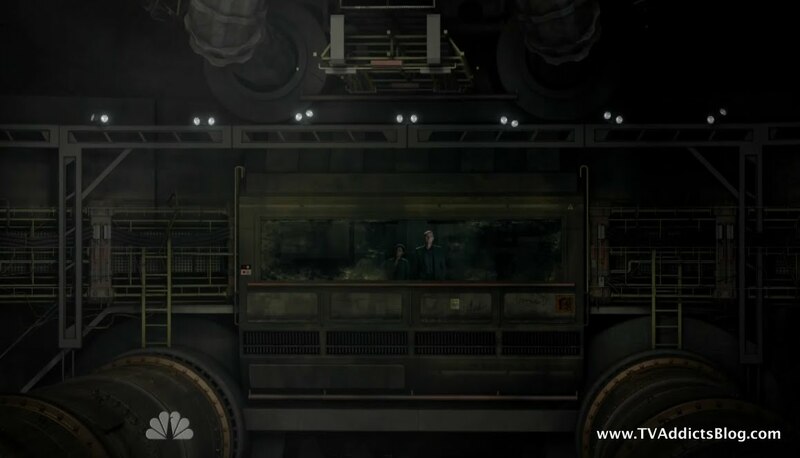 We meet up with Randall and Grace in some unknown location. Randall says that he has to show Grace something that will impact them all. Apparently, they have some tracking system on the pendants and we see all over the map where some of them are. 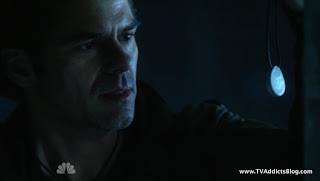 He assumes that Monroe got Ben's pendant and he isn't planning to do anything about it. But he's going to make Grace do something. WHAAT!?! 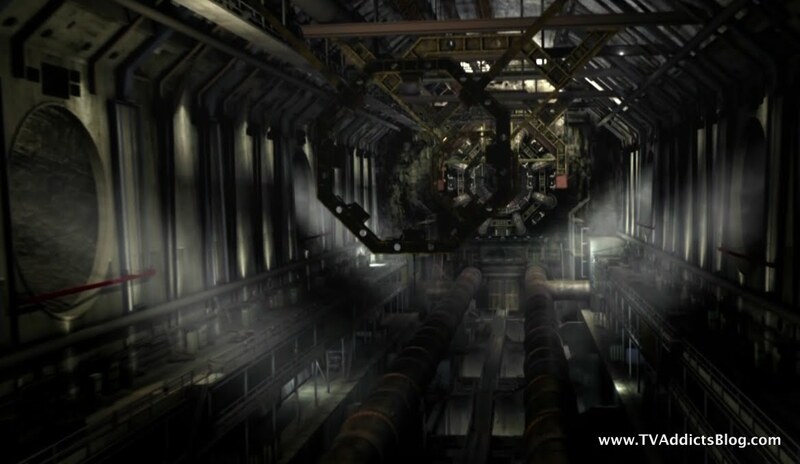 And we zoom out and see they are in some crazy facility that looks like it's housing a massive generator of sorts! We'll dissect below! We find out that Strausser was some mental patient before the blackout. He insisted that it was the world that was crazy and not him. So, Monroe and Miles seemed to have been recruiting in some crazy places for their militia. Miles is furious with Aaron for losing the pendant, even though Aaron is very aware of his mistake. 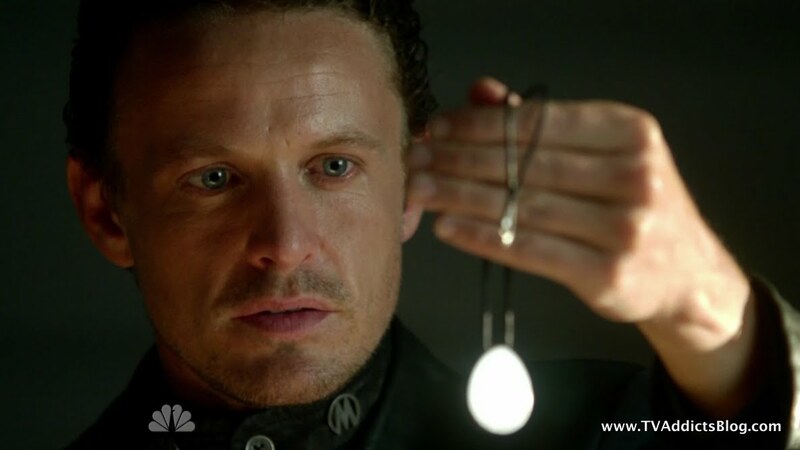 As we expected, Monroe will probably want to use the pendant to operate weapons, including that helicopter. The pendant turns out to be made of unbreakable material. Miles tried to destroy it before giving it up to Strausser and could not. 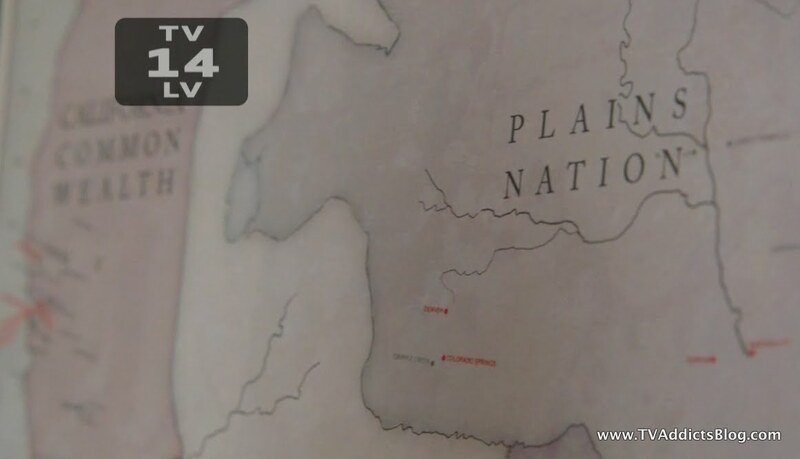 We catch a glimpse of a map of the country in Neville's home. We have already seen a full map provided by Entertainment Weekly and I linked to it in a previous recap but I'll share this one here. And of course, here's a closer look at the pendant map. I guess we'll be running into these other people one of these days! Oh yeah, I totally forgot. Neville's wife is starting to whisper ideas of overthrowing Monroe into her husband's ear. She insists that he would be a greater leader to achieve what they need to achieve. Which begs the question, who has the motivation to do more good in the world? Randall or Neville? Clearly Monroe is nuts and is definitely not the man to advance mankind. Maybe Neville as militia leader would be a good thing? Maybe he wouldn't be as ruthless a person if he wasn't following Monroe's lead. It's an idea, there is a chance that Neville could be even worse if he was in charge. I just get the feeling that at some point, alliances are going to change. Like maybe the militia was an initial threat, but they might be on the side of the heroes eventually to take on a larger threat (like the California Commonwealth, for instance). Anyway, just throwing it out there! But on the flipside, it's pretty unclear what Randall's motivations are. Guess we'll have to see what Grace is up to in the episodes to come. 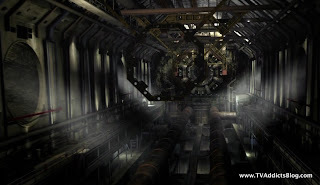 So, that big generator thing. Do we think that's what caused the blackout? Maybe that was what magnified Ben, Grace, Rachel and Ken's accidental technology? Of course the big question is, could it turn the lights back on? More Star Wars references in this episode. When Neville learned of the colonel's son's rebel ways he told his wife "I love you" and she responded "I know". Such a Empire Strikes Back/Return of the Jedi exchange! And we continue to thank Harrison Ford for his improvisation with the line that was originally in the script! 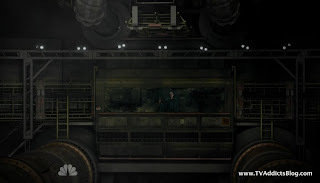 Do we think that the end of this season will be a trench run to blow up Independence Hall? Norah will try to stay on target, Charlie will be making her run but Strausser will be after her. Miles will have left to claim his reward, but he'll come back in all swords blazing to throw Strausser off the path. Charlie will use the force and throw a grenade into a window where massive amounts of C4 are planted and BOOM! Great shot kid that was one in a million! The force will be with you....always. Okay, I digress! A sort of Lord of the Rings reference too. Monroe grabs the pendant and says something like "So much fuss over such a little thing". I believe Boramir (Sean Bean aka Ned Stark) said the same thing in Fellowship of the Ring. Don't be surprised of Monroe starts calling it his precious next! Okay, that's it for today! Only a couple more episodes this year, and apparently it's on hiatus until March maybe? A hiatus like that didn't work for FlashForward a few years back, but the ratings weren't as good and it didn't have The Voice as a lead-in. I'm sure there's a method to their madness. Plus, I will welcome the break as always! But don't worry, next week we'll be treated to the sounds of Led Zeppelin throughout the episode. How bizarre! We have more Fringe and The Walking dead this weekend, and feel free to discuss other shows in our weekly TV discussion thread! Hope you enjoyed my ramblings and I'll see you next week! @Greg - I actually was thinking the same thing when I saw it. 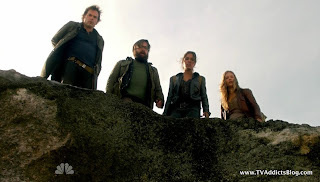 Agree...with the ratings slip this week, and a big hiatus coming, it's not looking good for Revolution's comeback. But, we'll see what happens! Thanks for the link, Greg! That franchise definitely has its imprint everywhere. Yeah...I vaguely remember the CERN discussions with LOST too. Good stuff! awhile for the militia to start up. Same kind of looters that Tom had to face when he first got tough. Miles did say that all the other bridges were destroyed. Seemed like a lot of holes in this ep - you let them on a bridge to trap them but once they go on you don't put armed men behind them so they can't run back from where they came? Strausser is supposed to be so goo but he can't spring a trap on a bridge? Hmmm. Knew immediately it was too convenient that he had Mia - but then I told myself that he knew he was going after Nora and company so maybe he brought her knowing he might need the bait. But still - they hardly even chased them before bringing out the sister ! Hole number 2 - why have the girl steal the pendant if you were going to trap them all when the left the burned out ferry landing ? So Tom basicaly threw the guy under the bus who was at least trying to save Tom's on by sending him to Calif instead of killed for treason ? Nice ! I don't think they had to go to the crazy house to recruit - with no electricity they were probably all in society before the militia came along. First it reminded me of that thing from Terminator 3 that they have to follow to the plane, then I thought of Cern too. I have seen Star Wars and Rings many many times. Leslie - don't feel bad - Star Wars fanboys thing Star Wars is in everything. Cause no one Before Han ever said 'I know' when someone said I love you ! LOL Just messing with all of you now ! But - Sawyer is waaaay more like Mal Reynolds on Firefly then Han in my opinion, but Mal was probably based a little on Han. Just watched my Firefly reunion - I want that show back. Boo HooHoo. I will have to rewatch over the xmas holiday. Whew, look at you finding all of the plot holes! Yeah, if I tried to analyze the logic of some of this stuff, I think I'd go crazy too. lol I've been there done that with The Event. So, I think I'm just along for the ride on this one. Definitely some contrived situations. You're probably right with the looters vs. militia. Didn't think of the timeline. That makes sense. Maybe you think Sawyer is like Mal, and yes I would guess he's sort of the Han type as well. But Josh Holloway was interviewed once and he said something to the effect of, "Wait, so I get to play Han Solo every day? I'm in!" Yes, Star Wars wasn't the first for a lot of stuff, but it is so deep into the Pop Culture Zeitgeist (like that? ), that everything AFTER Star Wars will always be compared to it. Between Sawyer and Miles, I'll take Sawyer every day! No contest! Friends - Of course I remember that episode with Ross's Princess Leia fantasy! It just didn't come to mind yesterday when I was posting. Revo - think I was pissey while watching. LOL i was anxious last night to get to my Supernatural. LOL - I still haven't gotten around to watching Deadwood. On my to do list. Unfortunately, it doesn't have an ending...but what's out there is top notch! There were talks for a long time of a movie to end the show. I think the script is even written...but the cast was in high demand and all had new things booked (and of course, we saw the results on all of these various shows! )...so it never happened. Very unfortunate!